For two years, he criss-crossed the region, meeting people working to strengthen and transform their communities through social, environmental, agricultural, and other initiatives. 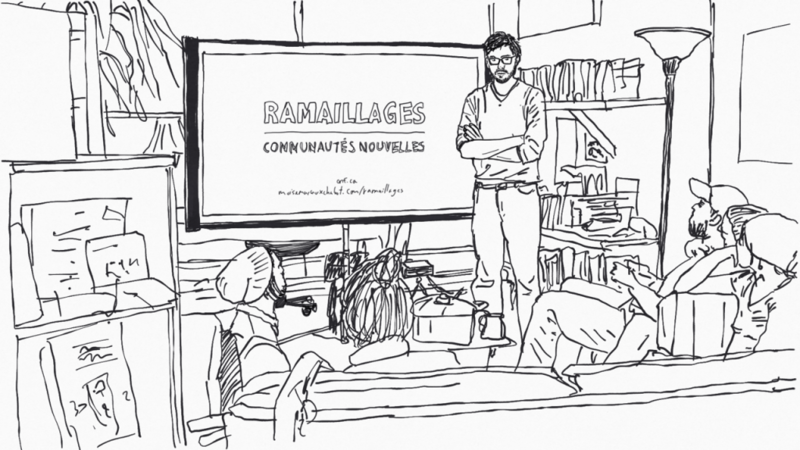 The filmmaker spoke with us about the screenings he organized in making Ramaillages and about the format of the web series, currently in postproduction. Educated in anthropology and documentary filmmaking, Marcoux-Chabot has long considered making a participatory film that could become a social tool and engine for change. 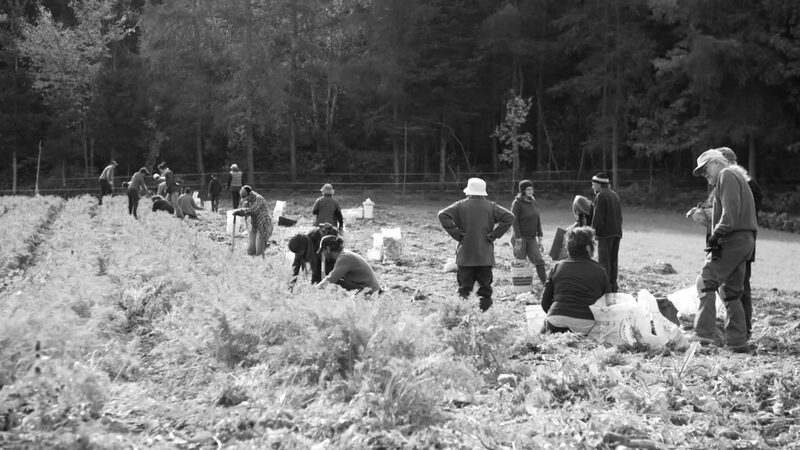 In 2013, he had an idea inspired by the Challenge for Change/Société nouvelle project, produced at the NFB from 1967 to 1980 – move to the Gaspé and immerse himself completely in the culture, filming people involved in their community and integrating their feedback into the resulting work. “I have always liked to blur or break boundaries – between filmmaker, actor, and audience, for instance, or between preproduction, filming, and postproduction,” explains Marcoux-Chabot, who is both the maker of Ramaillages and a participant in it. 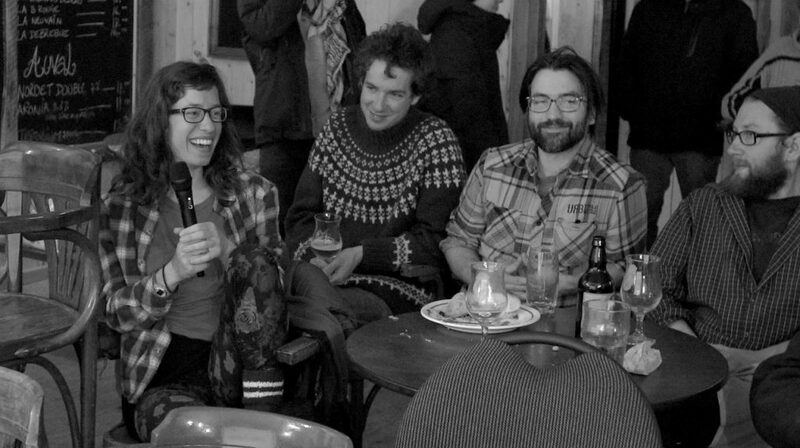 So while shooting in Mont-Louis, Bonaventure, Cap-au-Renard, Val-d’Espoir, and Saint-Louis, Marcoux-Chabot organized what he called “new community evenings” at cultural cooperatives or community centres. He screened preliminary cuts of what he had shot in the area for the people featured in the footage and their families. Audiences were then asked to discuss what they had watched and the issues being broached – with Marcoux-Chabot’s camera recording everything. “Of course, for a filmmaker, when you show your rough cuts – warts and all and without any soundtrack – it makes you feel vulnerable. But it was vital to the process to get people involved in determining how they were represented on the screen,” stresses Marcoux-Chabot, who did all his own camera work and is now working with Philippe Lefebvre to edit it. The reactions of people from various Gaspé communities thus contributed significantly to Marcoux-Chabot’s work as he was filming, to his thoughts on the problems being addressed, and to his approach. When we met with Moïse earlier (if you read French, see this 2017 blog post), he was wrapping up the first year of filming what was at the time to be a feature documentary. But the project has since been transformed into a series, to be presented on the web in late 2019. “We were always very open-minded about the format. I had initially envisaged a suite of short films, then a series, then a feature film, and we recently returned to the idea of a web series. Who knows if it will change again,” jokes Marcoux-Chabot, who, along with producer Colette Loumède, decided that the footage itself should ultimately dictate the final form of Ramaillages. Opting for a series was in part warranted by the large number of participants and by how closely the project is linked to natural cycles. Even though Ramaillages was conceived of for the big screen, a web broadcast was deemed more appropriate to give audiences from the Gaspé and other Québec regions a chance to see it. “Using the web to present a participatory project also continues the exploration and renewal of the documentary form that the NFB undertook in the 1970s, but with modern technology,” continues Marcoux-Chabot, referring again to Challenge for Change. Marcoux-Chabot also intends to publish sketchbooks of drawings based on his film footage as a way of talking about the project in anticipation of the series’ launch. As you await the release of Ramaillages, keep an eye on his blog (in French) to find out more.